Hammered with determination and paid for in blood, the connection that binds Will to Conlan and his fellow Avatars has finally been forged and the Five are beginning to discover the extent of their staggering potential. Now these living embodiments of elemental magic pose a threat that the despotic Lords of Mydren cannot ignore. With all the resources at their disposal, the hunt for the Five has begun in earnest. With Conlan’s army growing, the time has come for them to cease fleeing and begin their battle for the heart and soul of Mydren. Yet for Will there is only one goal: to see Conlan crowned king, thus securing the future of those he loves. The task of guiding Conlan and his comrades through the oncoming battles will require every last ounce of Will’s guile but he has secrets of his own that threaten everything the united powers of the Five represent. With time running out, does Will have the strength to face the encroaching darkness alone? 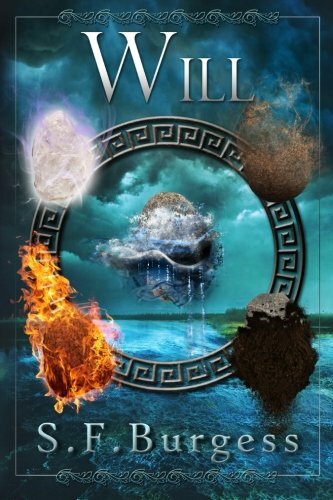 Will by SF Burgess available now! For those of you who read Eleanor a while ago and need a refresher before reading Will, here’s a link to a Synopses – MASSIVE SPOILERS FOR ELEANOR IF YOU CLICK HERE! Take me to the Will Booklaunch page with links to buy on Nook/Kobo/iTunes/Google Play and Kindle!